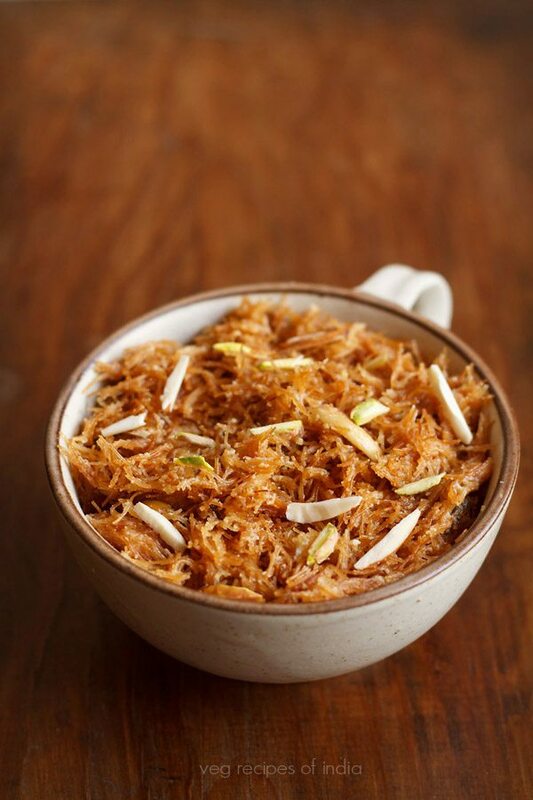 meethi seviyan is a sweet dessert made from whole wheat vermicelli, ghee, milk, sugar and dry fruits. 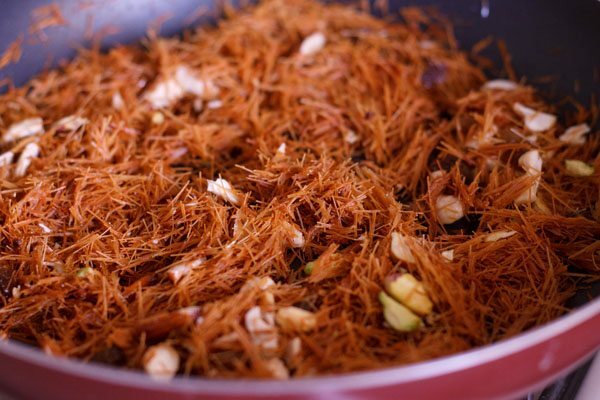 meethi seviyan recipe with step by step photos – a sweet dessert made from seviyan (whole wheat vermicelli), ghee, milk, dry fruits and sugar. 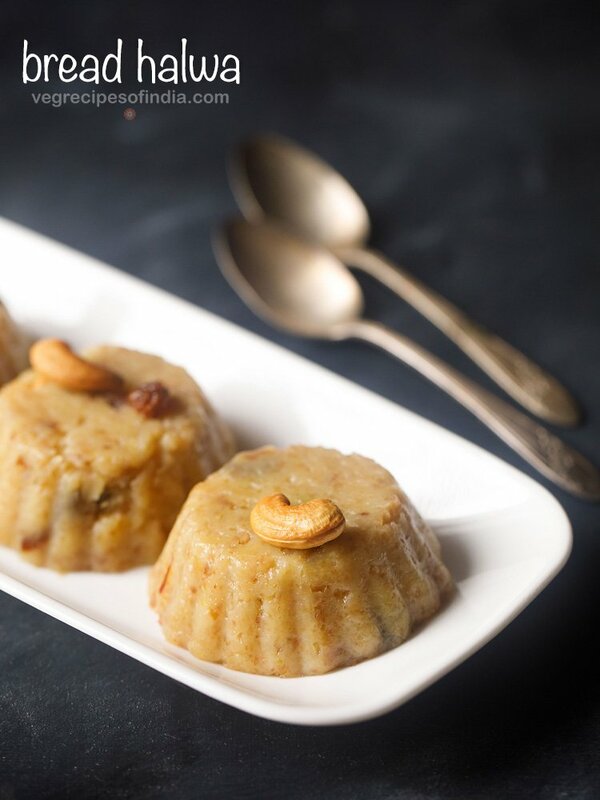 vegan vermicelli pudding made with almond milk. 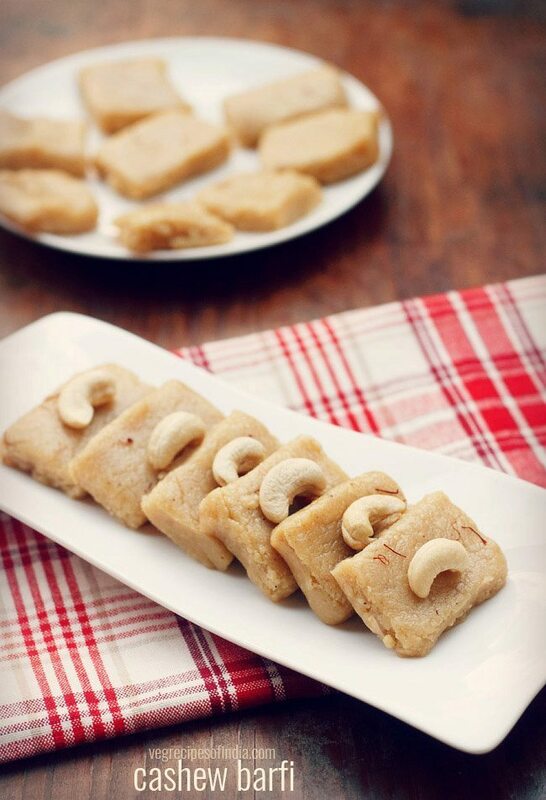 i get nostalgic when making meethi seviyan as we enjoyed eating them as kids. my mom used to make them quite often with milk. we used to have them as a sweet evening snack. however, you can have them as an after meal dessert also. in this dry seviyan recipe, i have used milk. though you can also cook seviyan with water. 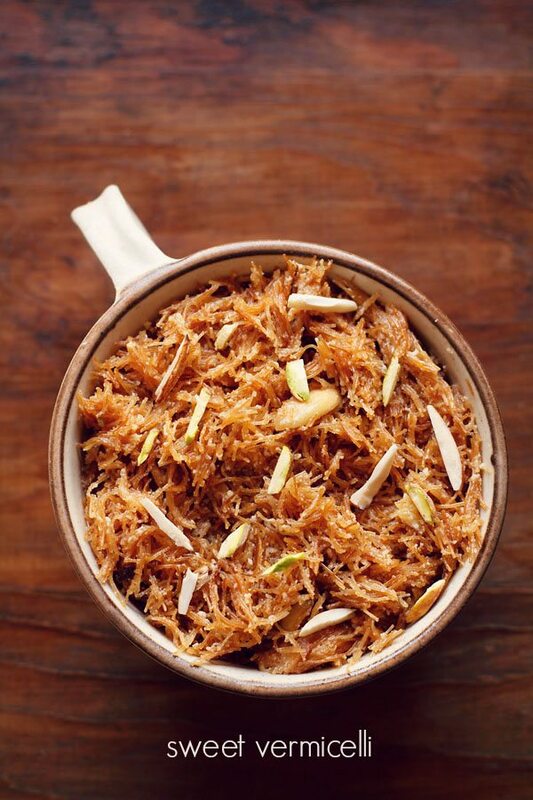 you could add dry fruits of your choice in this meethi seviyan recipe. 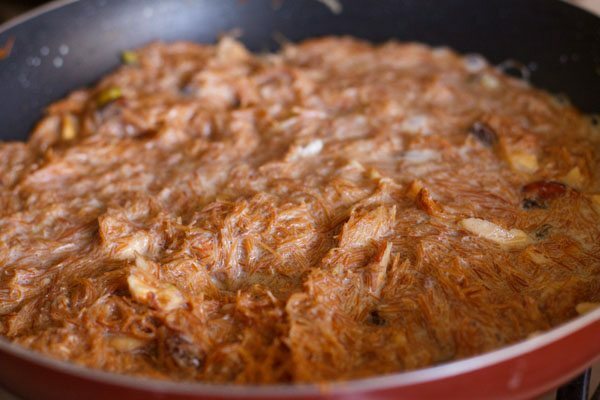 i have used pre roasted whole wheat thin vermicelli for the seviyan and then further fried in ghee for even browning. 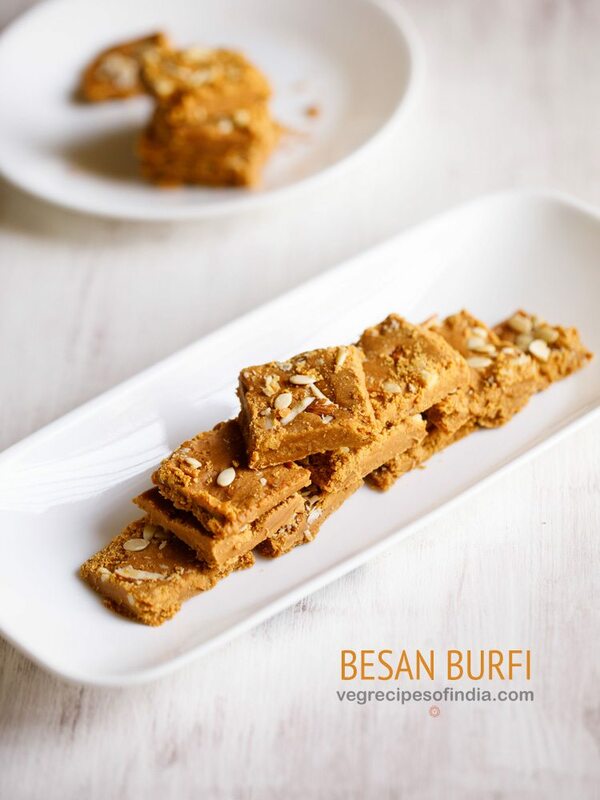 this sweet seviyan recipe has one more ingredient which makes it more flavorful. that ingredient is milk powder. milk powder gives an added flavor and taste to any dessert. but if you want, you can skip milk powder for this recipe. firstly keep all the ingredients ready for making meethi seviyan. break the seviyan and keep aside. heat a pan and then add 1 tbsp ghee. let the ghee melt and then add 1 cup of the broken seviyan. on a low to medium flame, with frequent stirring roast the seviyan till they become golden. since i used pre roasted seviyan, i didn't have to roast the seviyan much. 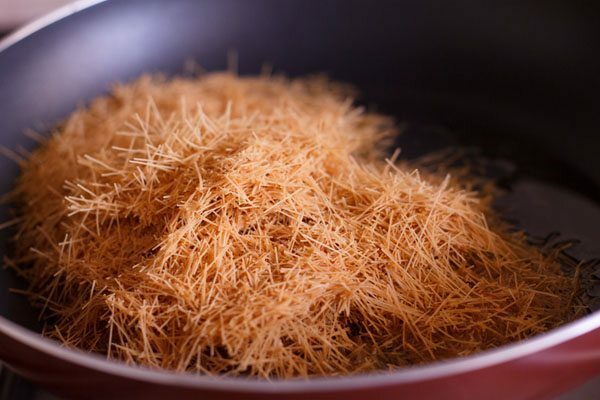 however, if you use seviyan which is not roasted, then you will need to roast for some more time. add all the chopped dry fruits and raisins. 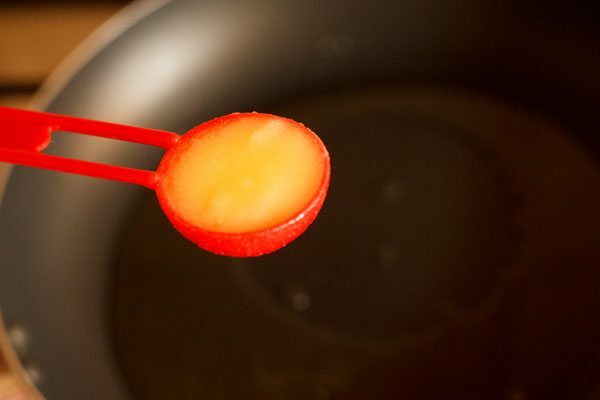 stir them nicely. lower the flame and pour 2 cups of milk. instead of milk you can also add water. stir and mix very well. then continue to stir for 2 to 3 minutes. now add ¼ cup of sugar. keep stirring the mixture. sprinkle ½ tsp cardamom powder and stir well. 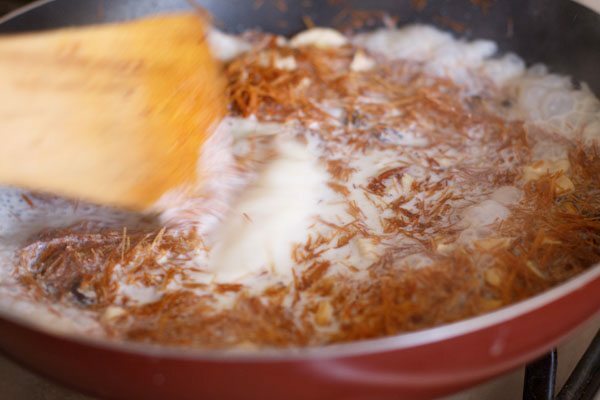 the mixture will start thickening and the seviyan will also begin to absorb milk. when all the milk has been absorbed, switch off the gas. you could double or triple the recipe if you need more quantity. allow the seviyan to absorb the milk and become dry. 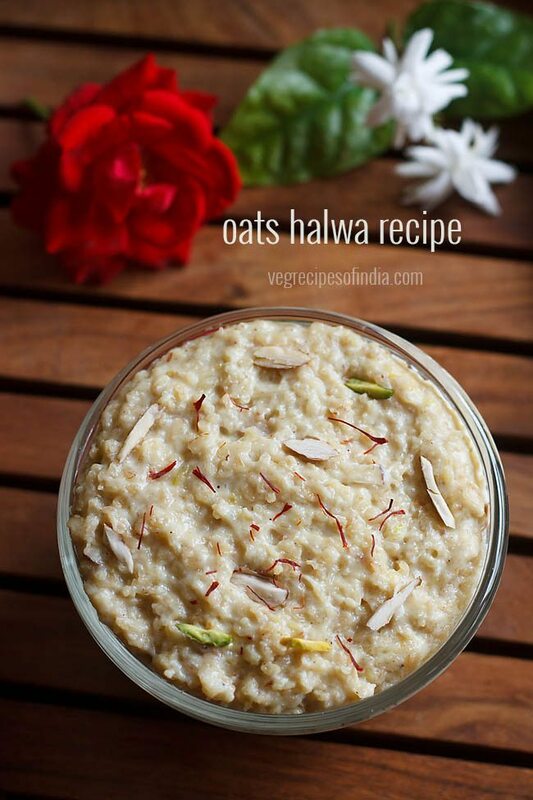 otherwise it would taste more like kheer. if you like seviyan kheer then add more milk. 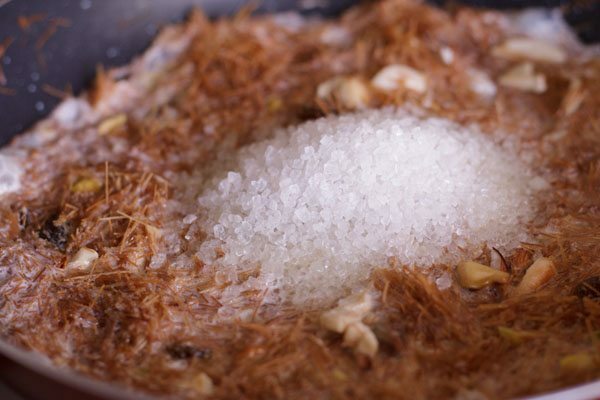 once the milk is absorbed by the seviyan switch off the gas otherwise the vermicelli would taste dry. 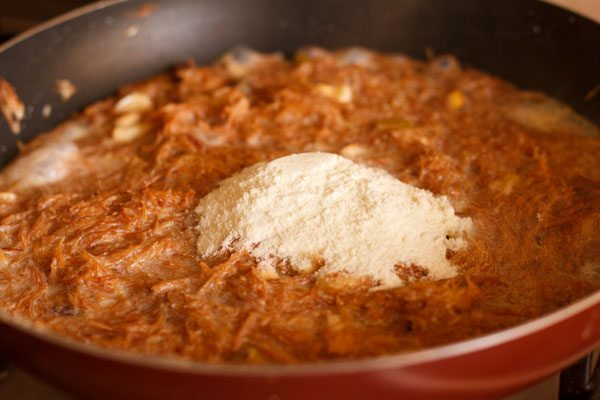 1. firstly keep all the ingredients ready for the seviyan. break the seviyan and keep aside. 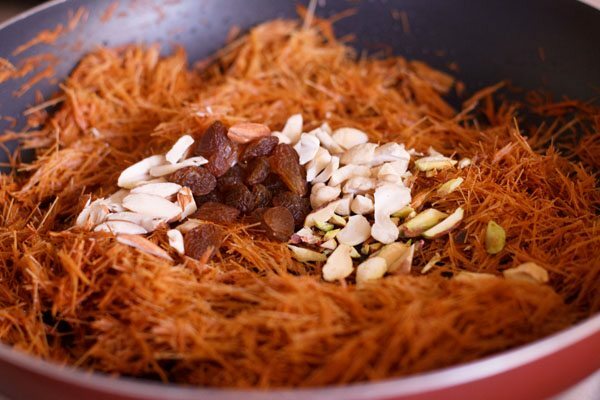 2. chop the dry fruits and place aside. 3. heat a pan and then add 1 tbsp ghee. 4. let the ghee melt and then add 1 cup of the broken seviyan. 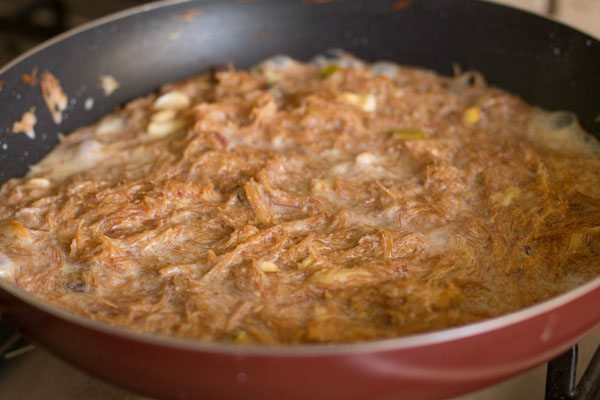 5. on a low to medium flame, with frequent stirrings, roast the seviyan till they become golden. since i used pre roasted seviyan, i didn’t have to roast the seviyan much. 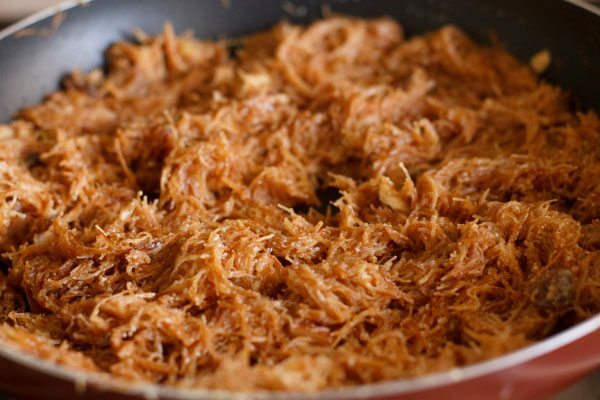 however, if you use seviyan which is not roasted, then you will need to roast for some more time. 6. then add all the chopped dry fruits and raisins. 8. lower the flame and pour 2 cups of milk. instead of milk you can also add water. 9. stir and mix very well. then continue to stir for 2 to 3 minutes. 10. now add ¼ cup of sugar. 11. keep stirring the mixture. 12. add ¼ cup of milk powder. if you do not have milk powder, then just skip it. 14. sprinkle ½ tsp cardamom powder and stir well. 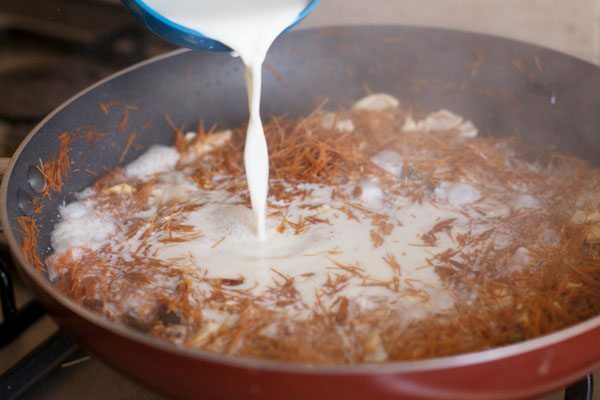 15. the mixture will start thickening and the seviyan will also begin to absorb milk. when all the milk has been absorbed, switch off the gas. 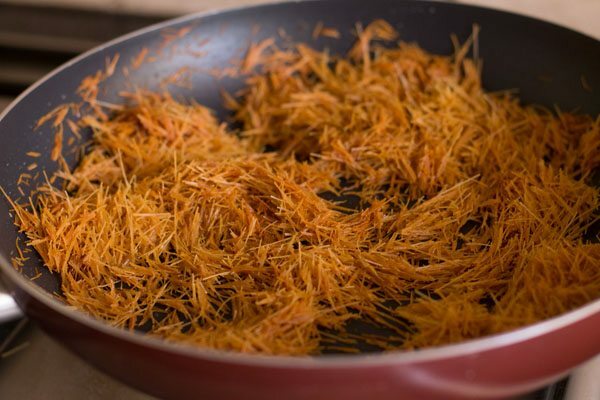 16. serve meethi seviyan hot or warm or chilled. 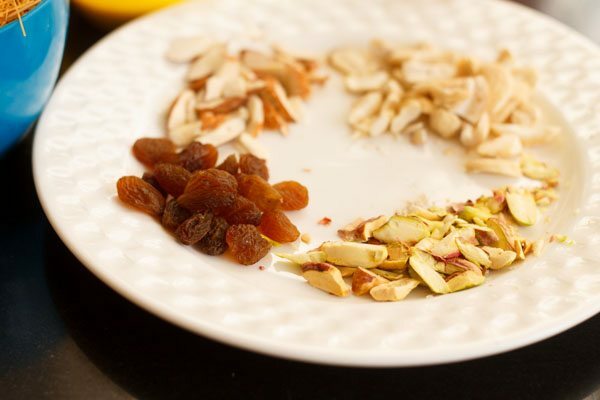 you can even garnish with some sliced dry fruits while serving. I have said “hi again”, as I had almost completed my email message, but then had to stop; and of course, when I returned to send it, it vanished into thin air! I was looking for a recipe to make sweet, dry Vermicelli. Your recipe seems easy enough, so I may prepare it over this weekend. I would like to attempt making Bajri laddoos! Growing up in Mumbai, India, we had relatives settled in the State of Gujarat. Our long departed aunty, used to make these laddoos. It is my understanding, that aunty, and now her daughter, most probably learned to make them from the Gujarati neighbours living alongside. If anyone has a simple enough recipe, adapted for those who control their diabetes with diet and medication, please forward the recipe to me. Attempting to make them would be a dream come true. After all, one of the very last times I devoured one of these laddoos, was about 40+ years ago. I am now living in London, UK with my own family. My dear wife, of English origin, from the north of England, really enjoys cooking Indian dishes for me, as well as the usual Sunday, and different foods for the special seasons in the year. All of our family, love travelling down to Bandra West, Mumbai, where many of our extended families reside! And Indian snacks are a must, not to mention the milk rich ice-creams. So, somebody, please forward the recipe for Bajri laddoos! And if there is an Indian sweet shop, in or near North East London, that have genuine Gujarati sweets, namely, Bajri laddoos, please forward the details to me. Thank you. thanks a lot everett. sometimes the message or comment while typing does disappear if we click some other button or link. 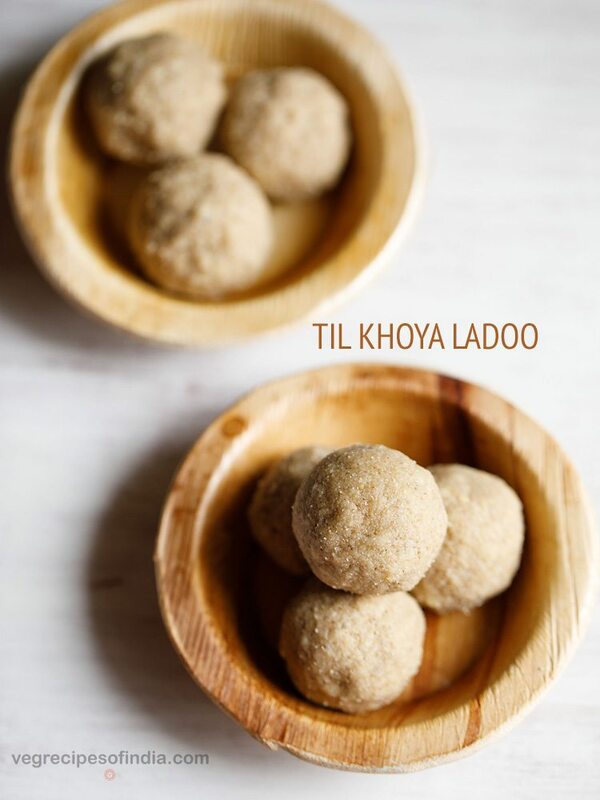 bajra ladoos are not difficult to make. i hope you get the diabetic friendly recipe of bajra ladoo soon. had i known a diabetic friendly version, i would have shared it. Welcome to Pune! 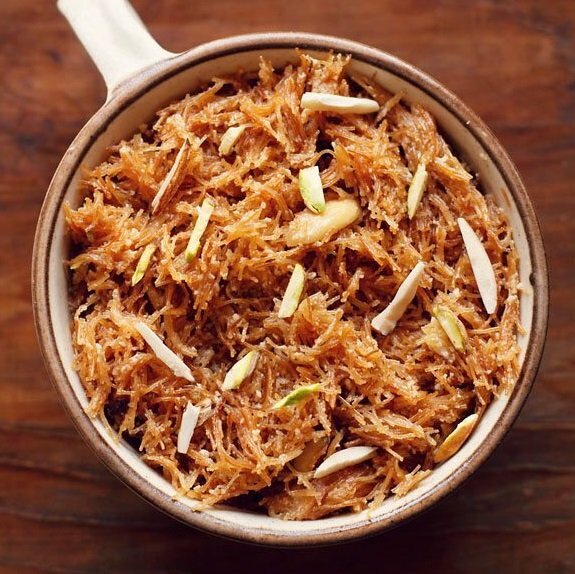 Your recipe is a lot like the recipe that Parsees use to make their meethi sev , except we make sugar syrup and add it to the sev. I have never tried making sev with milk, I will this diwali. 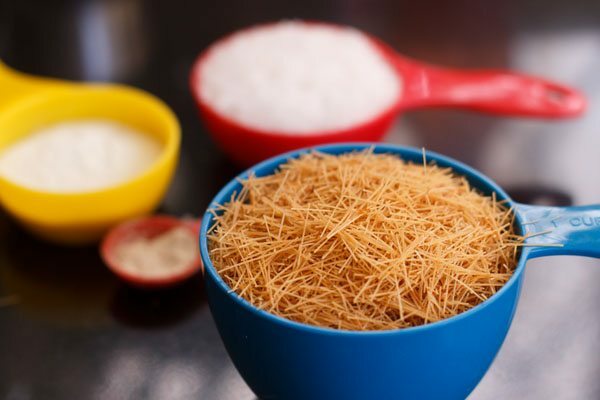 Whole wheat sev is easily available in a lot of stores in Pune but the best is of course the Haathi Chaap Sev ( it’s a brand my dadi used and we do too) ; it’s easily available in all the Dorabjee stores. Wishing you and yours a bright & prosperous Diwali. thank you gazal. i know about haathi chaap sev brand. my mom would also use the same. i will check in dorabjee stores. last couple of times i had checked, it was not there. they said it is out of stock. will try again. thanks for letting me know. M big fan of urs!!! Thanks Akansha for your kind words. Welcome Monisha. Yes you can add almond powder. Your recipes are nice & easy to cook.I always follow your ideas and your way of cooking. Thanks Ziya for your positive feedback. puja, thanks for sharing this tip. Tried making meethi seviyan for Diwali. It tasted good but it had a sticky texture. 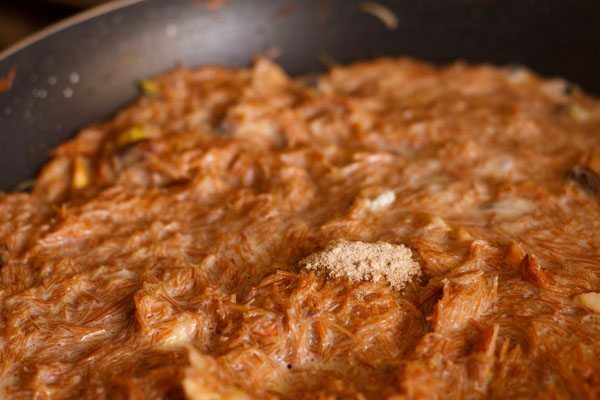 I used sooji vermicelli to make the seviyah..just wondering what went wrong. sticky texture could be due to the sooji vermicelli. i don’t see any other reason for the sticky texture. Nice step by step recipe..seviyan reminded my hyderabad days..
thank u..u were in Goa previously na..nw where have u moved..just curious..
welcome meera. from goa to pune. pooja, these are different. these are whole wheat seviyan and used to make kheer in north india. you can also make upma with these. 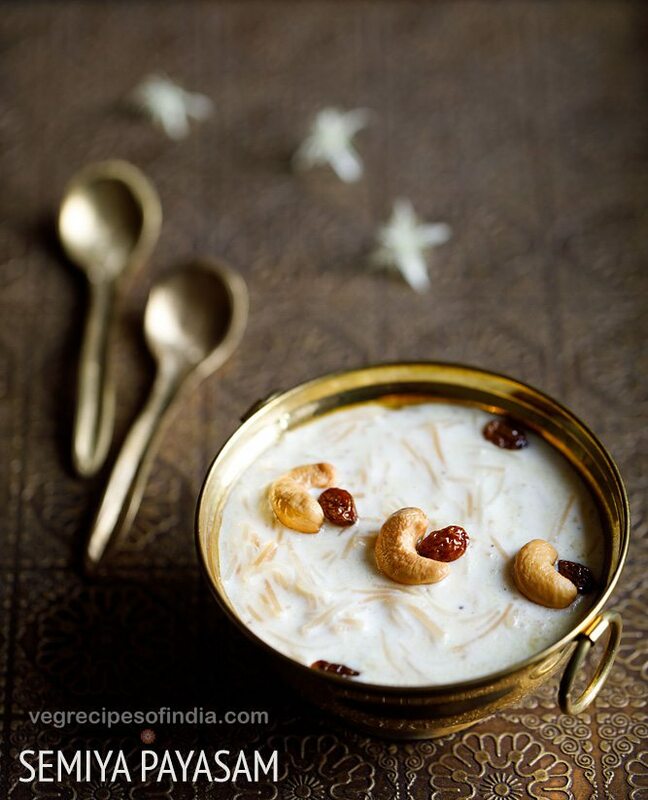 Thank you for the recipe… even I like the sevai kheer a lot.. can you please tell which brand have you used to prepare this dish… ? I am not getting whole wheat sevai in market. welcome kanchan. this seviyan was already bottled and sent to me by my mom. as i have recently moved to a new place and still getting things and stuff settled. so i do not know which brand it is. usually in supermarkets, you should be able to get whole wheat seviyan. Thank you for the reply. Will search once more. All the best for your new place organisation ?